Hang or stand this dramatic tumbling cactus plant on mantelpieces or bookshelves. 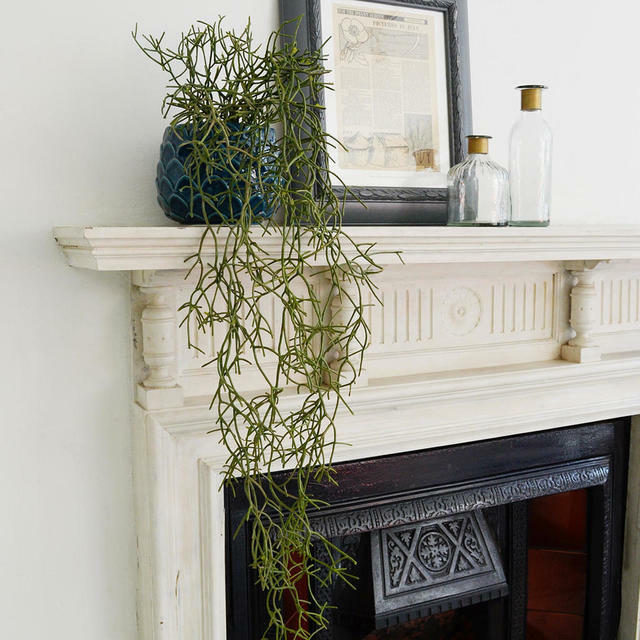 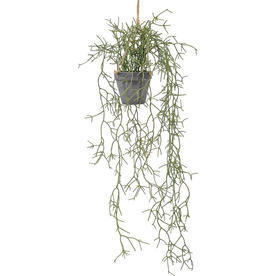 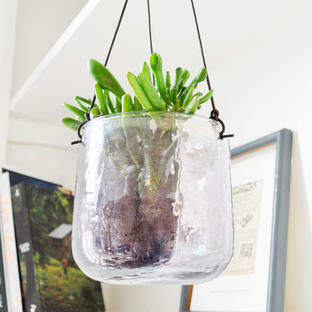 An easy way to add some drama to either high mantelpieces or tall bookshelves with this faux Rhipsalis cactus plant. 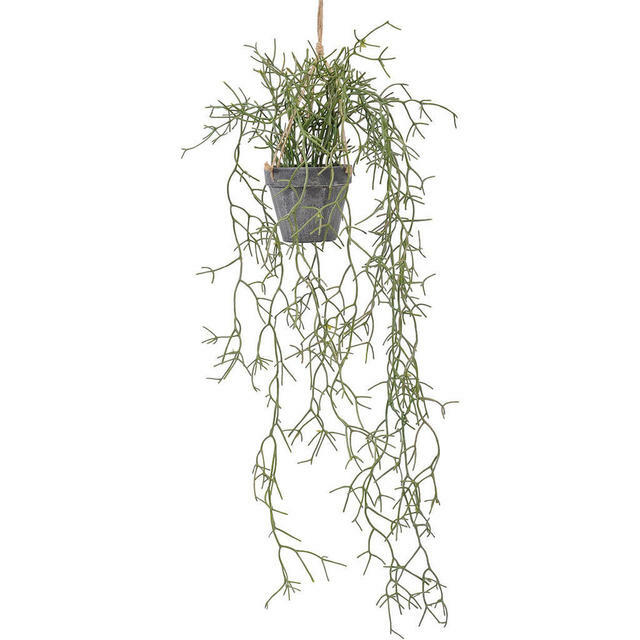 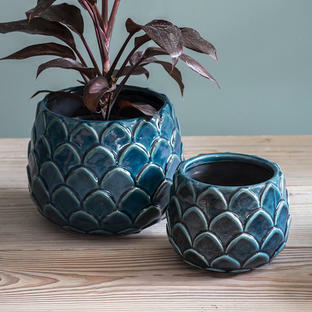 The pot comes with twine loops so the plant can be hung if preferred. 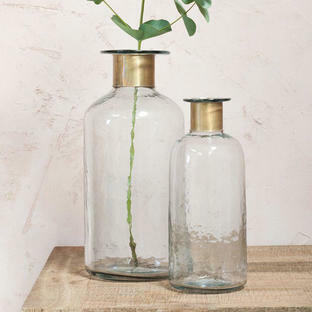 Easy to maintain, simply dust as appropriate. 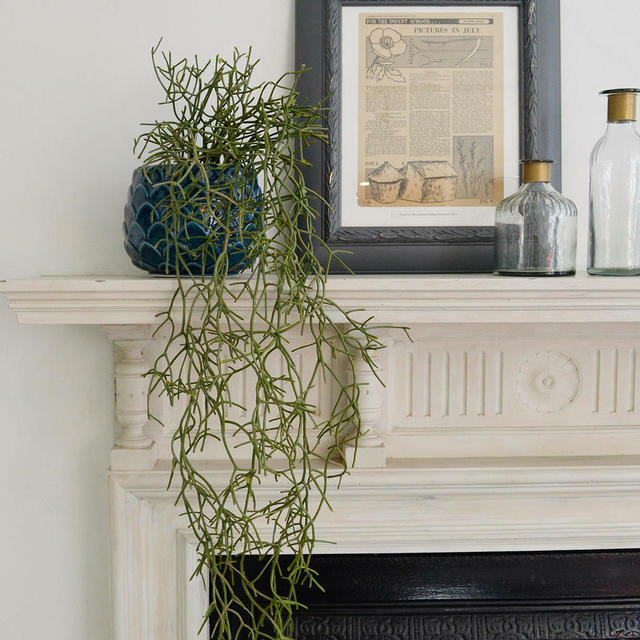 The plant is in a black pot. 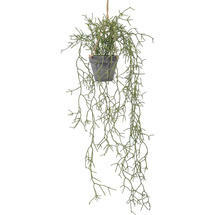 The trail of the cactus is 90cm with a spread of around 30cm.